With sunshine, luxury spas, unspoiled beaches, refined restaurants and elegant hotels, Tunisia is an amazing Mediterranean destination. Visitors can expect all the right ingredients for a luxurious escape from the everyday, with flawless service, luxurious facilities such as spas, pools and golf courses, and hotels catering to every taste, from sprawling luxury all inclusive resorts to quirky boutique hotels perfect for honeymooners. The good news is that wherever you choose to make your base in Tunisia,there will be more than one luxury brand to choose from. Whether you opt to stay in the iconic village of Sidi Bou Said, the picturesque island of Djerba or a popular holiday resort like Hammamet or Monastir, there are some gorgeous five star hotels to choose from, many with manicured gardens, enormous pools and nearby golf and spa facilities. 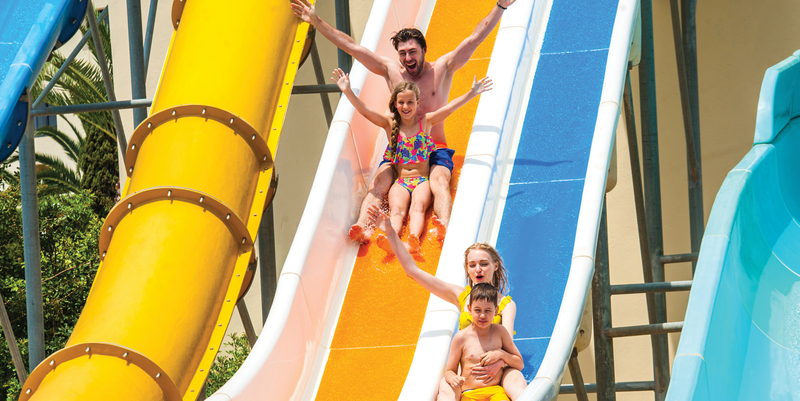 There’s something to suit all tastes, so whether you prefer an international, well-known hotel name for luxury family holidays, or would like to stay in an off the beaten track boutique hotel for holidays for young couples, you’ll have lots to choose from. Plus, most Tunisia hotels are not far from prime tourist attractions such as UNESCO-protected ancient ruins, beautiful beaches or colourful, bustling souks, so if you manage to drag yourself off your sun lounger, you’re never far away from the local sights. If you’re choosing Tunisia as a place to recuperate from the stresses of everyday life, choose to stay at a hotel with a spa. There are nearly 60 specialist spas to visit along the coast line, offering everything from Thalassotherapy treatments and hot stone massages to clay wraps and algae-based scrubs. Visiting a traditional hammam is also a special experience that will leave you feeling wonderfully pampered and rejuvenated. Another way to unwind is to visit one of the country’s many excellent golf courses. As well as improving your swing and soaking up the sun, you’ll also be able to appreciate stunning views of the Mediterranean Sea as you tee off. 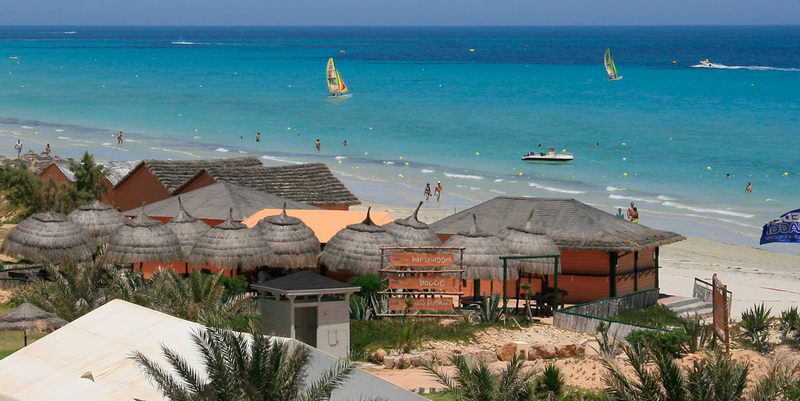 Naturally, your resort will offer everything you expect: fast, free Wi-Fi, reliable air conditioning and the warm, and a great sense of hospitality Tunisia is so well-known for. But your hotel will also go above and beyond in making sure your stay is incredibly memorable when it comes to food. 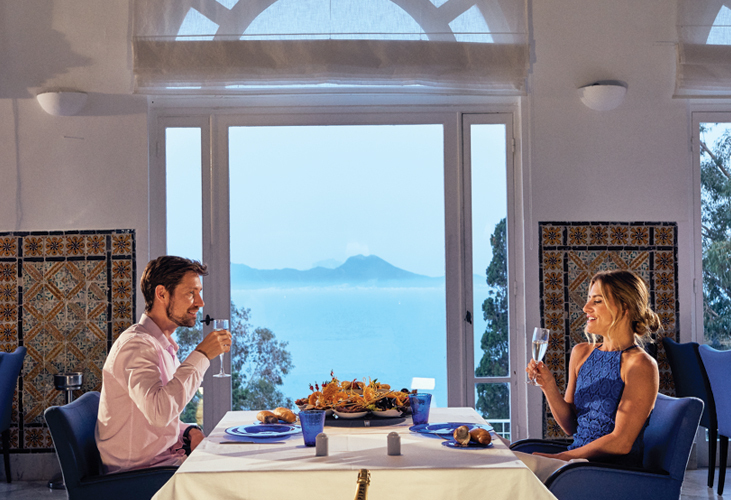 The restaurants in Tunisia resorts are well-equipped to cater for every palate, whim and dietary requirement, so whether you want to adapt a typically Tunisian dish, try a Tunisian wine or a traditional mint tea, prefer to sample some traditional Mediterranean fare or simply want to enjoy eating familiar comfort foods, the chefs and waiters at your hotel will happily oblige. 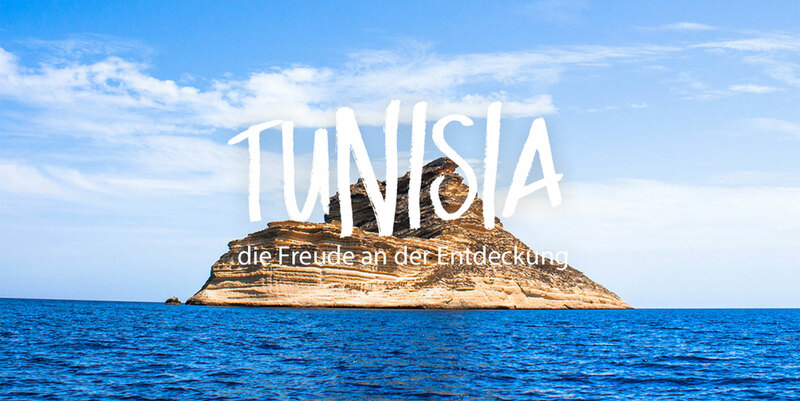 Plus, the balmy evenings and relaxed atmosphere make Tunisia the place to be! 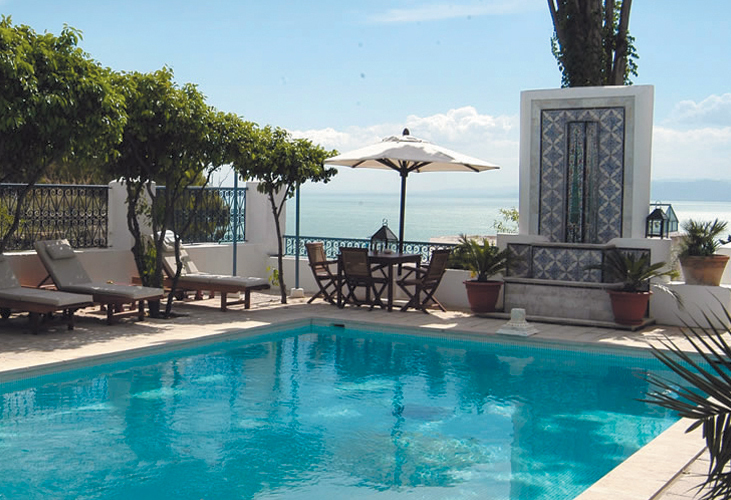 Whether you’re mad about spa treatments, crazy about golf or simply want to luxuriate by a pool, visit Tunisia.